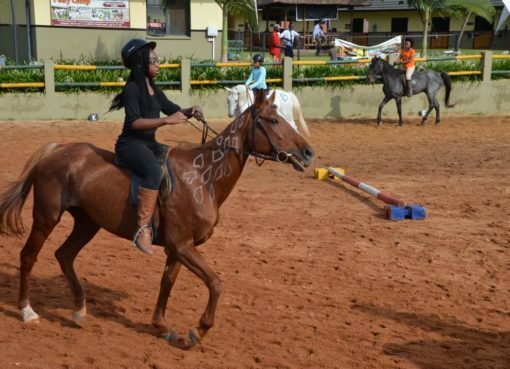 The Royal Ascot Goat Races, one of Uganda’s most popular social events reclaimed its spot on the social calendar six years after taking a break on Saturday. 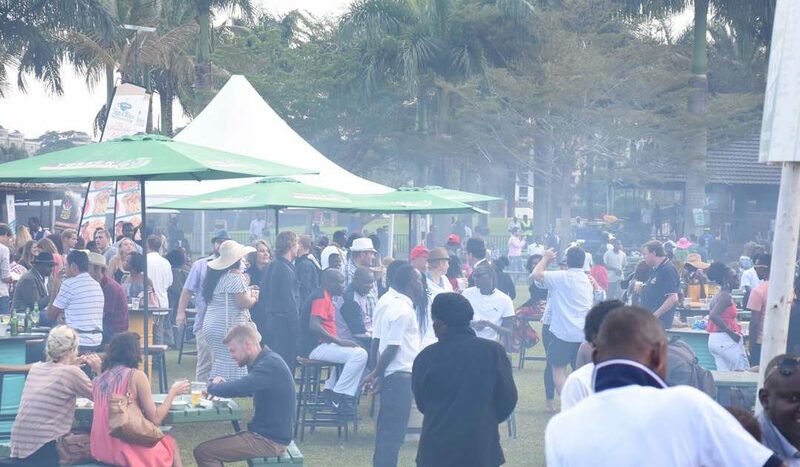 The social event indeed came back bigger and better with its unique sporty-fashion and picnic vibe at its traditional home, Speke Resort Munyonyo. Not even the afternoon drizzle could dampen the mood of the most exuberant unofficial fashion showcase in Uganda. Goats are not known for athleticism, so they had to be prodded to the finish line with minders pushing a cart behind them. Short of that, they would have chosen to graze the grass. But that is where the fun element was. The owners cheered on their goats though as there were cash prizes to be won. Bebe Cool’s famous goat that he named after his musical nemesis A-Pass didn’t put up a good show despite people cheering it. 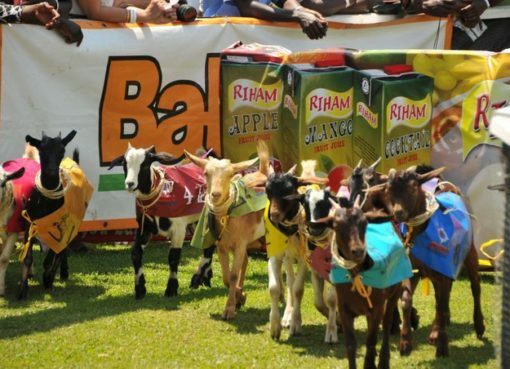 “The Goat Races are worthy hallmark affair on Uganda’s social scene and Tusker Malt is proud to have been part of the return of fanfare. Even the slight drizzle didn’t kill the festive atmosphere,” Grace Namutebi, UBL’s Premium Beer Brand Manager said. 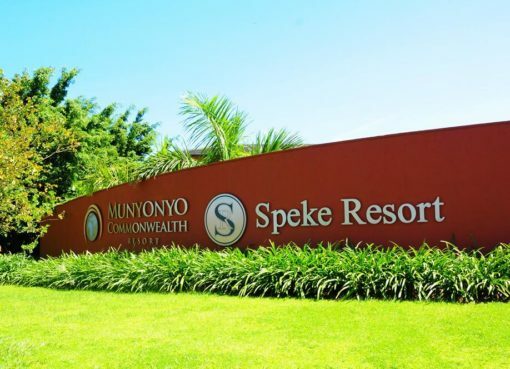 The hospitality tents were something to look out for with the goat owners’ tent being one of the most sought after – not with the free-flowing liquor and food thanks to Speke Group of Hotels. Kampala Casino partnered with Johnnie Walker for the most exclusive tent. Event sponsors Tusker were the attraction of the night with their silent disco. Off the race tracks, there were prizes awarded throughout the event amongst them the big win for best dressed couple being a return air ticket to Dubai. The night ended on a high thanks to performances from Bebe Cool and Fik Fameica that left the crowds wildly excited before an elaborate fireworks display capped it all. Away from the fun, charity has always been one of the key facets of the goat races. Part of this year’s proceeds will be going to the Totos Tag Rugby and Outreach Programme that takes place every weekend at Kyadondo Rugby Club. The programme has been instrumental in rugby development in the country with five of the national Rugby Cranes players that represented Uganda at the recent Rugby 7s World Cup in San Francisco having been nurtured by the programme. Royal Ascot Goat Races: The race for the best goat is on!